Companies spend millions and millions to secure their networks every year, and every year millions and millions are lost due to intrusions and breaches into those same networks. Little do they know the benefits they can reap if they invest on fiber optics. With the big data, cloud in general, and other emerging technologies, internet connectivity is everything in this digital world. It’s best we examine the way fiber enhances business operations. With high speed internet, business operators can remotely access and monitor security and surveillance anytime, anywhere. The transition from analog to digital video continuing has made it possible to view and review real-time monitoring inside the business premise. Should there be dubious incidents happening, it can be easily investigated. The first advantage of optics is its interference immunity that regardless of long distances, surveillance is running and continuing. Other benefits include the meeting of power requirements, maximum cable-run distances, video surveillance quality, and integration with other systems. 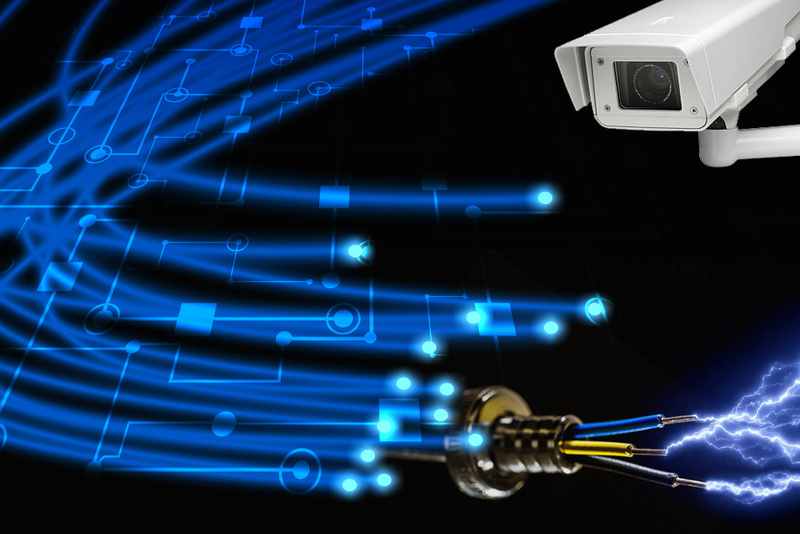 Fiber optics in security cameras has a dark fiber wherein the fiber cable emits high quality image even if the place of the surveillance cameras is too dark. The images produced are clear and no longer require enhancements unless necessary. Fiber Optic cable technology has large bandwidth which means it can accommodate large data transfers in great distances. That’s data of whatever kind transmitted every second to keep business operations running. The smooth and fast transfer of data and information makes the daily grind of both business owners and employees more efficient. Data transmission powered by fiber optics is great in both sending and receiving information, hence, there’s also a smooth and clear flow of all forms of communication. Taken in its entirety, there’s no interference from lightning strikes and no short circuits. There’s also stability within a wide temperature range that’s immune to dynamic and changing weather conditions. Hackers or inside attacks illegally gain access to business cable internet with much ease because of cable tapping and other no-brainer methodologies. On the other hand, the only method to penetrate fiber-optic internet is to physically cut the fibers such that it causes the signal to disappear, and this can be learned through training and course in fiber optics. Fiber optics in business security is considered one of the most effective way to strengthen a company’s protection against looming cybercrimes. Business owners can finally integrate mobile devices, tablets and such to their security system. This demands for high bandwidth, yes, but it makes monitoring remotely possible and more convenient. Security team can work simultaneously when there’s a call for it.